Have you ever felt so incredibly blessed that you just had to share those blessings?...Join Debby and Theresa as they share their gifts with you. Theresa is a gifted medium/seer, she is also a reflexologist and young living oils consultant and together with Debby who is a Master Reiki practitioner, Angelic Healer, Past life regressionist and spiritual mentor, they will engage you in interactive conversation. 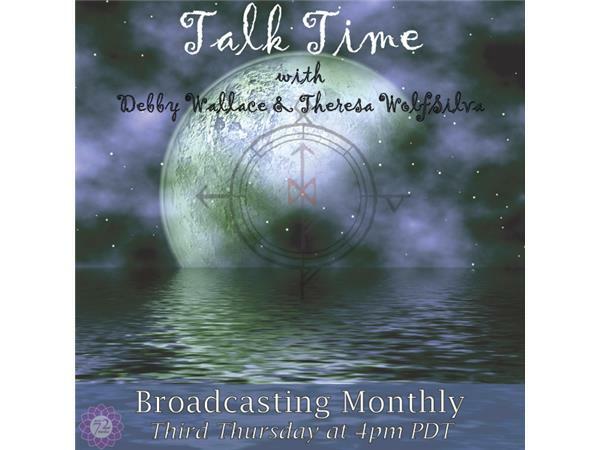 This week, in their first program, Debby & Theresa speak with Raven Keyes about Medical Reiki as well as their offerings at Ancient Mystic Moon in Portland, OR.